Yikes, almost a year since the last update! 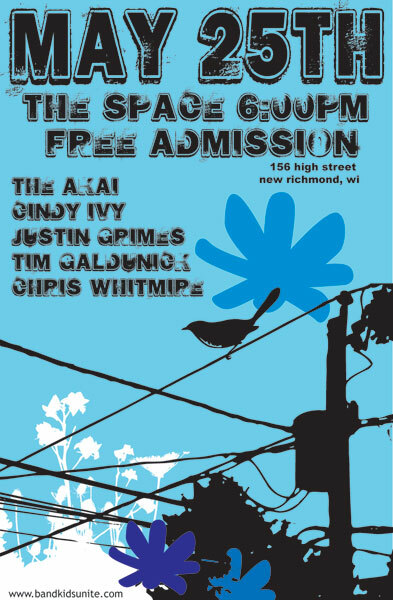 Shay, Reed, Akai, and Mi-Ma-Mo are playing at The Space in New Richmond, WI. Yes THAT Starbucks. The compilation looks pretty tasty. 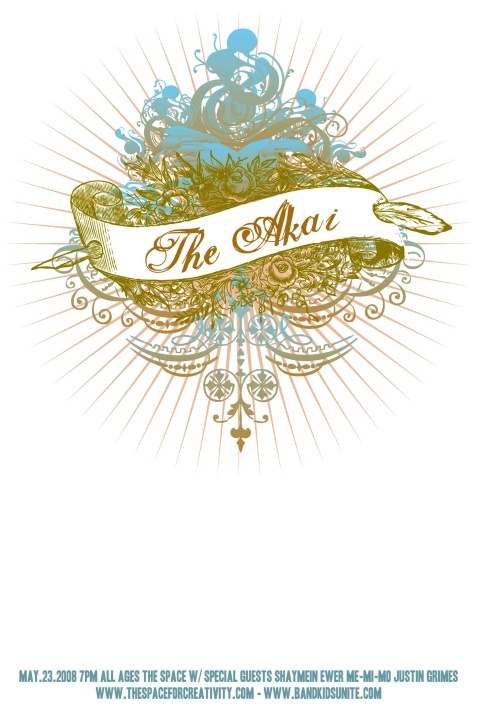 Get more info, and buy the new Akai record, at Akaispace. The track “Beautiful” is also for sale on iTunes for 99 cents. You can buy the new Akai record there! Iâ€™m playing a show at the space, on Nov.3rd. Iâ€™m sure you know where itâ€™s located. The show will be from 6:30-9p. Iâ€™m very excited, and hope you can attend. Cindy Ivy featuring Chad and Mike, and Kloey! Big news! Cindy’s got new tunes and recordings for this years St Paul Art Crawl. It’s a solo debut and a Kloey reunion all in one! Sorry dudes, just got word that the August 2nd Pop Riveter show is CANCELLED. Akai’s first full-length, (Number One) – Pretty Songs About Ugly Things, is finished.